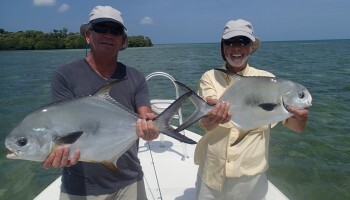 Florida Keys flats fishing in the pristine waters of the Keys from Marathon to Key West, with professional guide Capt. 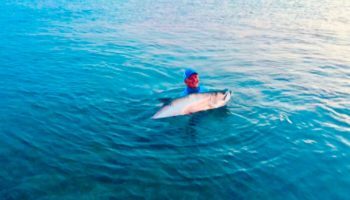 Diego Cordova fishing for bonefish, tarpon, and permit on light tackle spin or fly rod. 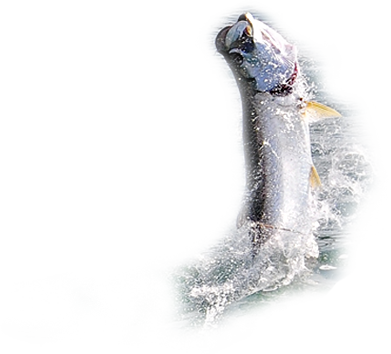 Flat out sport fishing is Addictive Exciting Extreme Fun Book your trip now! Capt. 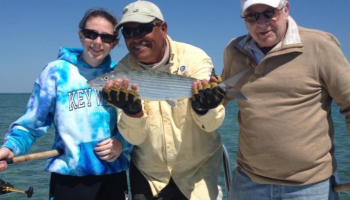 Diego guides you on your search for the illusive bonefish, permit, tarpon, or any other flats fish that you may encounter, and makes you feel as comfortable as if you were fishing with an old fishin' buddy. 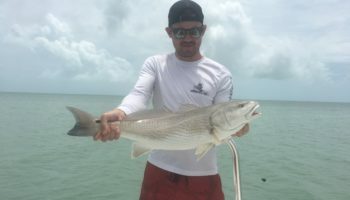 He is very patient with children and novice anglers, as well as the experienced angler, and will fine tune your fishing technique on how to be an aggressive angler when the opportunity arises. Beautiful tarpon caught at Bahia Honda. Patric Fleischer from Germany poses with his first beautiful tarpon of this trip caught at Bahia Honda. Team Mitchell caught three nice reds on light tackle in the shallows of the Glades. Fishing conditions have been very windy but permit and tarpon abound both on the Oceanside sand runs and the local bridges and channels.